Three of Florida’s most celebrated tracks feature 30 to 50 obstacles designed for beginner to advanced drivers. ATV and UTV aficionados are in for a heck of a ride! 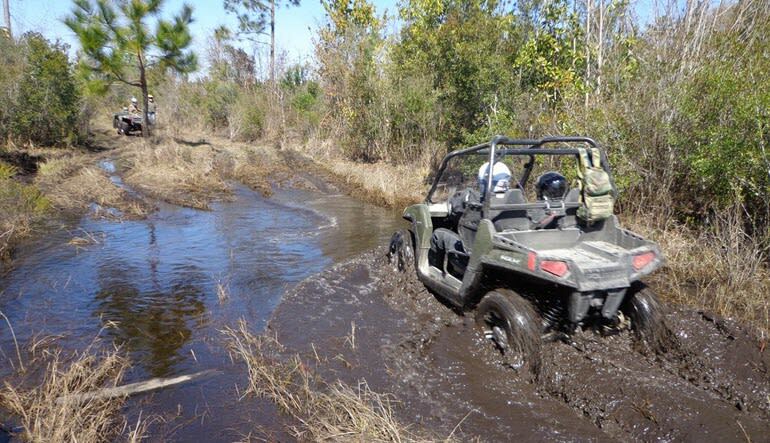 You’ll take on everything from bumpy back roads to deep water crossings and winching courses! Receive a one-hour classroom session that familiarizes you with your vehicle and the many obstacles you’ll encounter. Choose one of three courses: the beginner course offers 1.5 miles of 30 obstacles; the intermediate course gives you 3 miles with 50 obstacles; the expert course (a real challenge for even experienced drivers) adds a deep water crossing and a winching course. 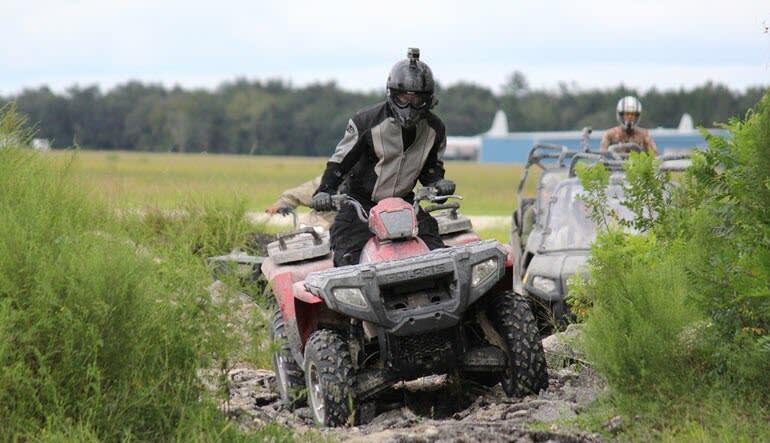 Enjoy 6 hours of seat time in your single-rider ATV or dual passenger UTV! All ATVs and UTVs are Polaris military or commercial vehicles. Hop onto a full-size, 700cc (or larger!) ride for an unforgettable, mud-soaked afternoon! 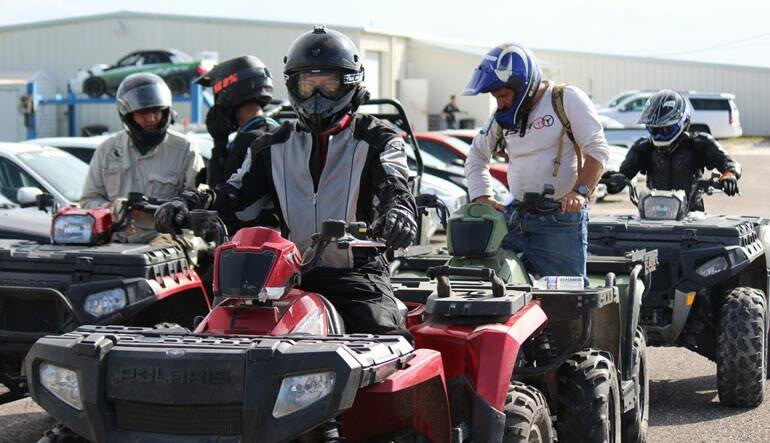 Learn how to really drive an ATV! Please note that his car fleet travels the country and is only available at this location on selected dates. Full Day from 9:00 am - 4:00pm.